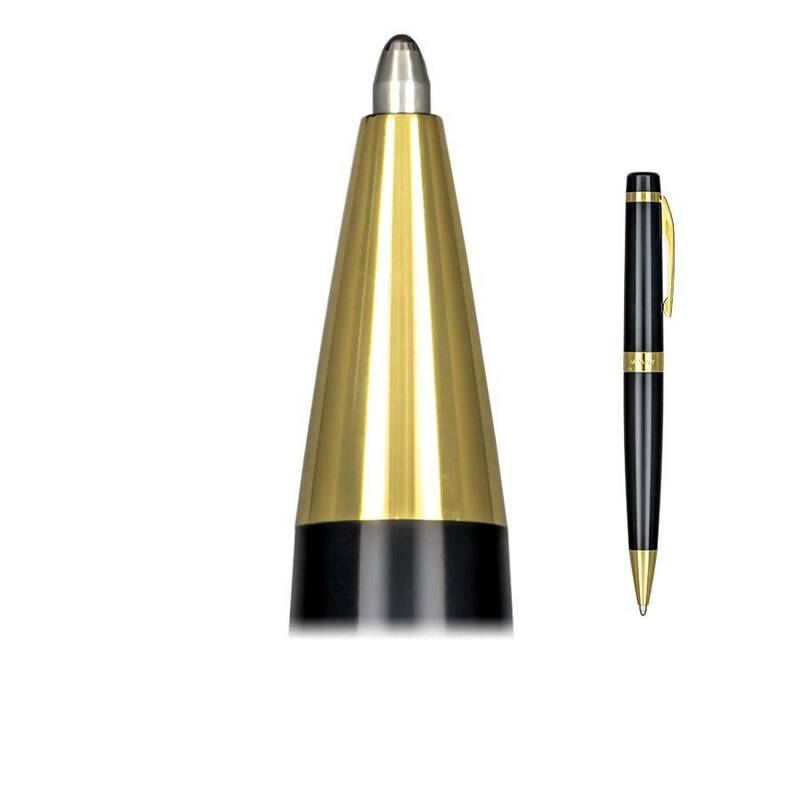 Your Sheaffer or Ferrari by Sheaffer ballpoint pen fits a very unique refill. You have three options. The Sheaffer ballpoint refill contains oil-based, waxy ink which is less subject to adulteration or running from moisture. Writing on checks and envelopes is a safer bet with these. They are made only by Sheaffer and offered here with a fine or medium point in blue or black ink. If you like to lay down lots of ink with each stroke, you may want to try the Monteverde GEL ink refill for Sheaffer or Ferrari ballpoint pens. This ink is water based, but thicker than liquid ink. If you would like your Sheaffer or Ferrari ballpoint to write more like a rollerball pen, try the Monteverde Liquid Ink refill for Sheaffer. These refills are available in ten different colors. But as with any water-based ballpoint refill, make sure the point is retracted before pocketing as these inks are designed to wick to paper and if not retracted may also leak onto fabric unintentionally.